Photo: Sampling Mudgee wines in the countryside can be a relaxing way to spend an afternoon. Map - See Central and West NSW Map. Being the centre of the state, there is a lot going on year round as well as a lot to see and do. Racing at Mt Panorama, Bathurst, sampling wine in Mudgee, find gold in Bathurst or explore our country music heritage in Tamworth. Bathurst, known to Australians for its car racing at Mount Panorama, has grand historical buildings built in the gold rush days as well as during the sheep and farming booms. At the Bathurst Goldfields, there is a gold rush town with tours available. See more on Bathurst NSW. Gateway to the spectacular and beautiful Warrumbungle Mountains, known for wildlife including koalas, wallabees, emus and colourful birdlife. Coonabarabran is the astronomy capital of Australia. There is a very interesting collection of minerals and fossils at the Crystal Kingdom in Coonabarabran, collected from the Warrumbungle Mountains. If you get the chance, explore some of the nearby aboriginal culture and art sites with the Milton Judd’s Aboriginal Site Tour. Booking is required - Phone +061 2 6843 4466. You also have a chance to explore the Universe here, or at the least the Southern Sky part of it, at the Siding Spring Observatory. Dubbo has a number of interesting attractions and has the largest open plain zoo in the Australia. An important stop during the cattle mustering days as well as the 1860’s gold rush days, the town has a number of historic buildings, one of them being the Old Dubbo Gaol, now a museum. See more on Dubbo NSW. This town was featured on the Australian Ten Dollar Note for many years. Gulgong’s picturesque and historical streets have been preserved for all time as the whole village has been declared heritage protected. The ambience in this little town really needs to be experienced, giving you a fascinating insight into what a gold rush town was like. Henry Lawson, Australian poet and author is the town’s most famous son. 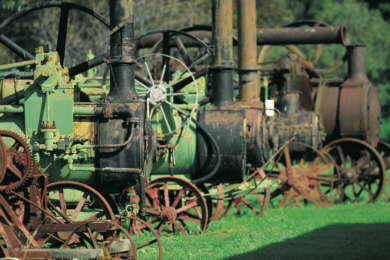 Settlement started at Mudgee in 1822 by George and Henry Cox and grew to a town by 1835. There are a number of beautiful National Parks in the area, including Wollemi, Coolah Tops and Goulburn River. You can find thirty wineries within 30 minutes drive of Mudgee, visit them for cellar door prices and sampling their choice wines. 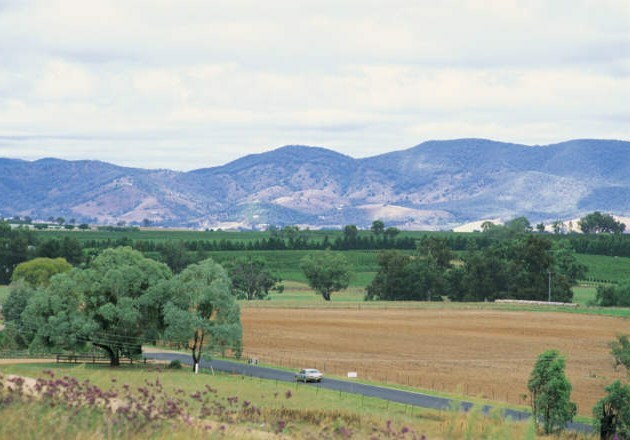 So Mudgee is very much a wine growing centre but is also known for its olives, honey, natural jams and fish farming. If this sounds it could make for a great meal, you can fish for your own fish at one of the fish farms, buy a wine or two from one of the many winery cellar doors and get virgin olive oil straight from the press. Delish, it just doesn’t get any better. Then again, if you are more like me, go and sample the fare at one of the many great little Mudgee restaurants. Orange, named after Prince William Orange, is the centre of this agricultural region and also known as the Colour City. A number of buildings are from the gold rush days and there is an obelisk that commemorates the Australian poet, Andrew ‘Banjo’ Paterson. Situated in the mid west of the state, Orange enjoys four seasons, with snowfalls in winter, a green spring, sunny summer and colourful autumn and is an attractive city with wide streets and numerous parks. The first gold in Australia was found near here at the Ophir Goldfields, sparking a number of gold rushes from the 1850s to the 1870s. Even the locals still try their hand at panning for gold here, along with the many tourist visitors. In town, there are some nice art galleries worth exploring and nearby attractions include the bird and wildlife sanctuary at Mount Canabolis, the remants of an ancient volcano crater. Tamworth, is known the world over as the Country Music Capital of Australia and has two, not one country music festivals during the year. In January, the 10 day Country Music Festival and in July, the Hats Off Festival. These are very popular events, book accommodation ahead if your planning to stay. There are plenty of things to do throughout the year in and around Tamworth. For history buffs, there is the Tamworth Powerstation Museum, as the town was the first in Australia to get electricity, in 1888. There is a koala and native animal reserve at Oxley and the Walk A Country Mile Interpretive Centre for the history of country music in Australia. There is a good range of accommodation in the Centre of New South Wales, with backpacker hostels, hotels, bed and breakfasts, farmstays, historic inns and motels as well as resorts. View Hotels in Australia. Camping grounds in various national parks is available and some have very well equipped caravan and camp sites. Bookings are essential. Phone Bathurst +061 2 6332-9488 for more information. For a different kind of holiday, the Australian Government has made it easier for people to work here. 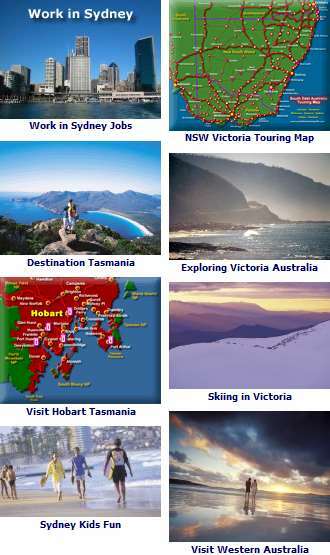 See Work in Australia - jobs. See the Map: NSW Map - NSW Regions Map.